When I vacationed in some southern states I ordered a Coffee Nudge. Only one bartender I asked in the southern states knew how to make a "Nudge." This drink is very popular in my home state of Washington and elsewhere in the cooler (wetter) climates of the U.S. 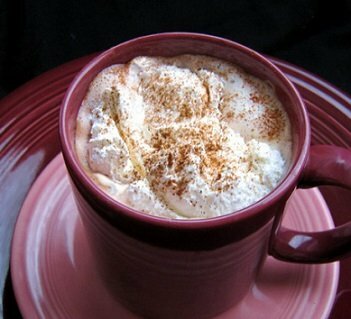 It is a favorite restaurant drink recipe and is also sometimes called a Kioki Coffee. A "Nudge" is one of my all-time favorite drinks when I want a "warmer-upper." I like to add a little creme de cacao to the drink, but it is optional. 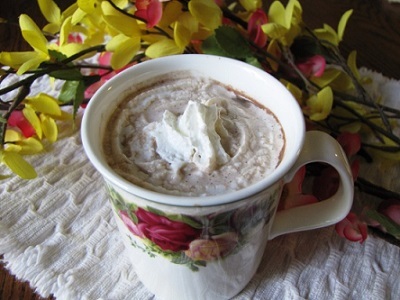 Adding the creme de cacao makes this a favorite restaurant recipe! Enjoy your "Nudge" and the company of those you share it with! This recipe is a real restaurant recipe as are all the recipes on the website. Did you know? Originating in Veracruz, Mexico in 1936, Kahlúa has become the number one selling coffee liqueur in the world.